There’s something truly magical about spring. As well as having the urge to give the house a really deep clean, many of us are also keen to freshen things up décor-wise, too. But don’t worry, as a few simple updates needn’t break the bank. With some careful planning and a little imagination, you can transform the look and feel of any room simply by adding some classic or contemporary tiles from Ca’ Pietra. In the kitchen, one of the best ways to create instant wow factor is with a striking splashback behind the sink and hob. As well as being ultra practical and easy to clean, a tiled feature area brings colour, pattern and even unusual shapes to these hardworking zones. 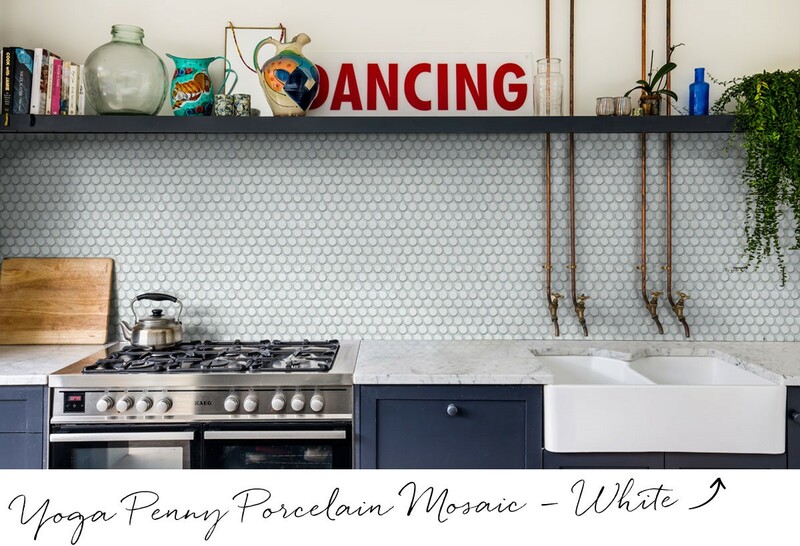 Our Yoga Penny Porcelain Mosaic for instance, instantly catches the eye with its small, circular discs in an on-trend Blush or Teal Blue finish. Bathrooms are also easy to update when you consider keeping your existing suite and jazzing things up with some new tiles. 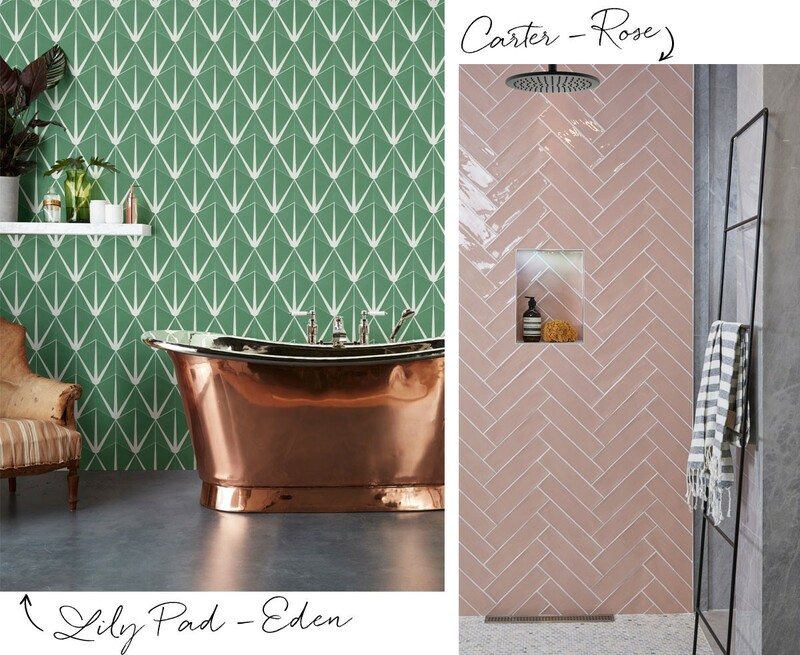 Surface areas behind the bath are often crying out for some colour or an eye-catching print such as our hugely popular Lily Pad Pattern Tile, which comes in a variety of shades including Eden, Denim, Marine and Clay. In the shower, think about adding a storage niche for shampoo and shower gel or how about tiling underneath a freestanding bath to produce a distinctive wet zone? Take a look at our Carter Rose tile for inspiration. One room that’s often overlooked is the downstairs cloakroom yet this is a space that you can really go to town on. You want it to appear fresh and inviting for guests, so go all-out with some snazzy new floor tiles. A good tiler will be able to fit tiles around the loo without having to remove it first so ask friends and family for recommendations. For a natural look, check out our Antique Terracotta Brick tiles or for something with added oomph, how about Moroccan Impressions Porcelain Arte, which can also be used on the walls. Another option is to create a warm welcome by tiling a porch area. 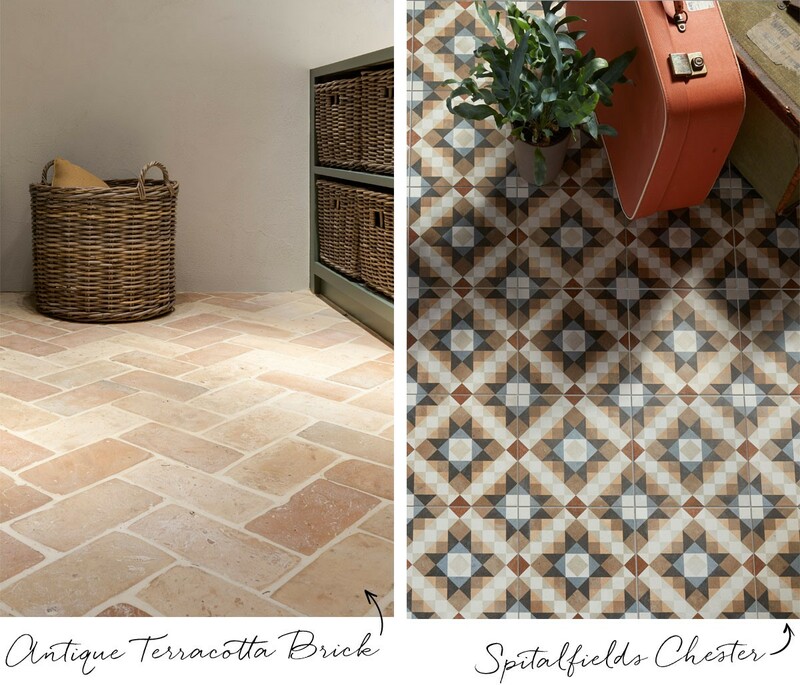 Period properties look wonderful with Victorian-style encaustic tiles while modern houses suit more abstract designs or pops of colour and pattern. Think classic style with Spitalfields Ceramic Chester or choose a fresh blue and white . By selecting a tired area or two that could use an uplift, you can give your home the fresh new start it deserves.